Elitium’s lifestyle app offers an intuitive platform with a streamlined payments process to procure luxury goods and services across the globe. 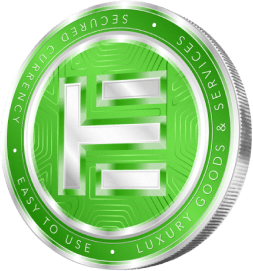 Any luxury brand can apply to become part of the Elitium global marketplace, while consumers can purchase the offerings on any device, any operating system, through the simple click-of-a-button – courtesy of the EUM coin. Customers can also manage transactions, membership, and on-demand concierge services in a 100% secure environment. The lifestyle app will also allow users to mine EUM on your phone or tablet (iOS, Android) with the functionality made possible by technology partner, Coinhive. Elitium Network members enjoy the benefit of an additional layer of protection through a bespoke insurance token, Elitium-i. The progressive, smart contract technology of EOS enables Elitium to significantly improve the efficiency, accuracy, and speed of operations within our network. Elitium Network participants benefit from the inherent security of distributed ledger technology, in addition to the Elitium-i insurance token. Elitium Network users can purchase goods and services in full anonymity via a secure, user-friendly ecosystem. Users of the Elitium Network will benefit from the inherent security of distributed ledger technology in addition to the Elitium-i insurance service. Users on the Elitium Network will be able to make purchases of all services & goods in full anonymity in a secure and user-friendly environment. If you want early access to the Elitium Lifestyle App, we’re releasing the demo version in February 2019.